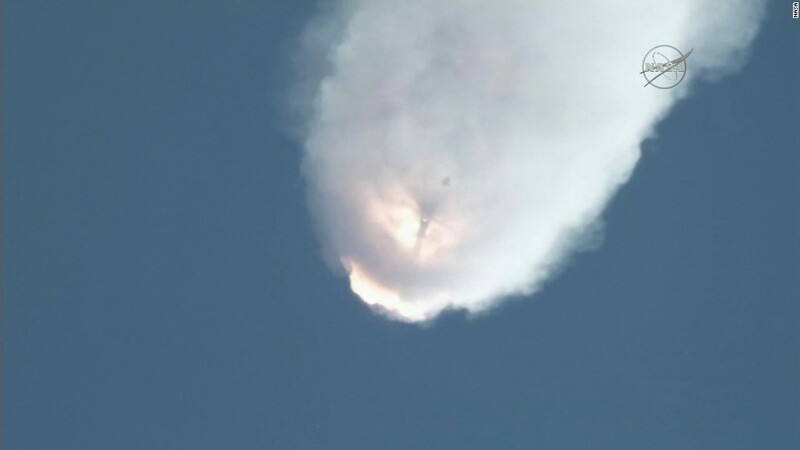 SpaceX's latest attempt to bring supplies to the International Space Station failed after its vessel, Dragon, exploded shortly after it launched in Florida Sunday morning. It was the third unmanned cargo mission destined for the ISS that has failed in recent months. 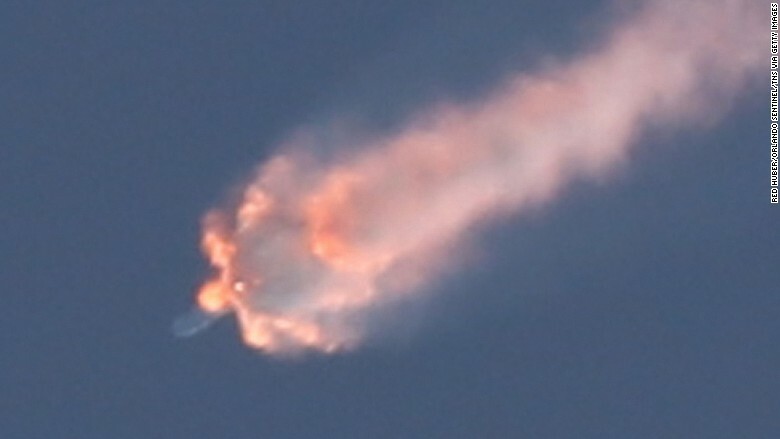 But it is the first unsuccessful attempt by SpaceX -- the space exploration company headed by Tesla's (TSLA) Elon Musk. Gwynne Shotwell, SpaceX's president and COO, said investigators will have more than 3,000 points of data to review, including video footage of the first stage of the launch. But Shotwell said there is no video of the second stage, which is likely when the crucial error occurred. Who is at the International Space Station? Three astronauts -- two Russians and an American -- are on board. Mikhail Kornienko and Gennady Padalka of the Russian Federal Space Agency arrived at the space station with Kelly after a launch from Kazakhstan in March. The three crew members are primarily conducting human health research. "The study results will help improve researchers' understanding of how blood pressure in the brain affects eye shape and vision," a March 27 NASA blog post says. "This knowledge may benefit people on Earth with disease states that include swelling and pressure to the brain or who are confined to bed rest." -- 1,000 pounds of hardware, such as equipment for the power system and "environmental control"
How significant is the failure? "We lost a lot of important research equipment. I don't want to minimize the loss," William Gerstenmaier, the associate administrator for human exploration at NASA, said Sunday. 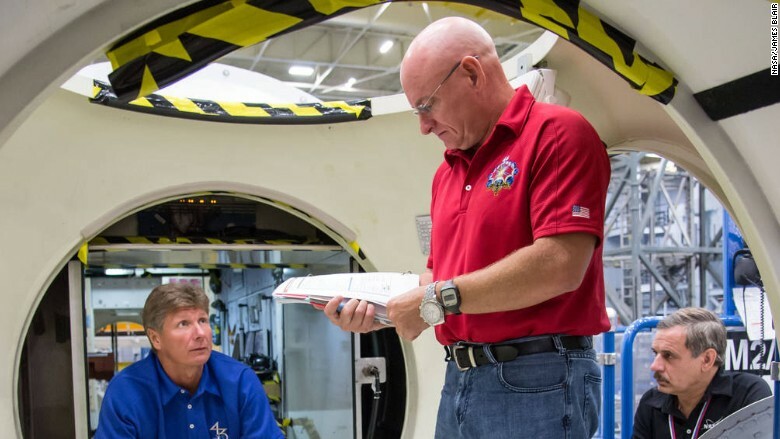 The priority for NASA lies in getting the crew at the space station food and water supplies, which at current levels would run out around the end of October. But more cargo missions are planned this summer, including Russian flights on July 3 and July 22, and a Japanese launch on August 16. The next U.S.-based flight, which will also be launched by SpaceX, is scheduled for September. Unmanned resupply missions to the International Space Station are carried out multiple times a year, and three spacecrafts have already reached the ISS from Earth so far this year. But Dragon's mission marks the third failure in nine months, an unprecedented rate in the space station's history. "We expect to lose vehicles. We didn't expect to lose three in a one-year time frame," Gerstenmaier said. What happened to the debris of Dragon? NASA said it was able to extract useful data from some pieces of the destroyed space craft. But officials are asking anyone who finds debris to call a hotline: (321) 867-2121.